Please Sign In "Guest Book"
There was a martyr named Christopher who was beheaded in Lycia, in the time of the Emperor Decius (249-251). This is all we know of him. His name, however has been invoked by Christians everywhere as one of the Fourteen Holy Helpers, whose intercession is especially powerful. The legend that has grown up about the name is familiar. Christopher was a Canaanite 5 cubits (7.5 feet (2.3 m)) tall and with a fearsome face. 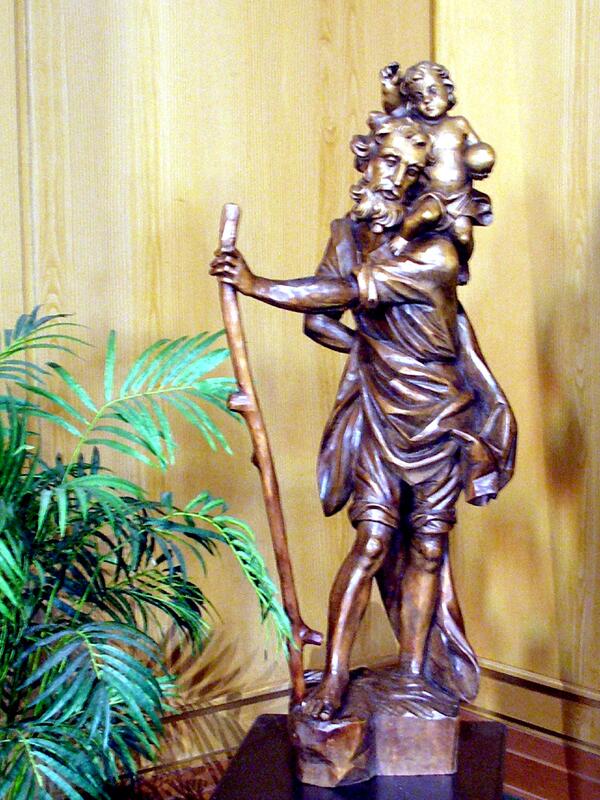 A giant of a man he was, originally called Reprobus, and determined to serve the mightiest king on earth. When the king he chose to serve showed fear of the devil, he left him and sought out Satan. Satan showed fear at the sign of the cross, however, and leaving him, Reprobus sought Christ. He bore Christ in four ways, namely, on his shoulders when he carried him across the river, in his body by mortification, in his mind by devotion, and in his mouth by confessing Christ and preaching him. 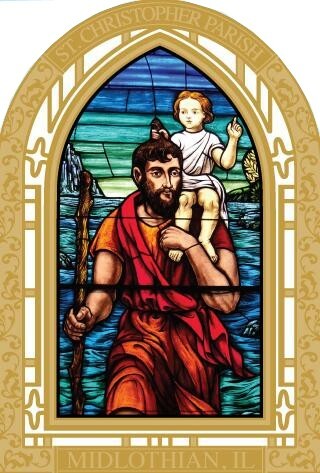 Christopher is the patron of travelers and is invoked against perils from water, tempests, and plagues.
" School Mass on Tuesday 8:30am "
Guest Book on the Bulletins tab. This was the slogan of the “Cristero” uprising in the 1920’s against the anti-Catholic government of Mexico which had instituted and enforced laws against the Church in an absurd attempt to eradicate the Catholic faith in Mexico, even going so far as to ban all foreign clergy and the celebration of Mass in some regions. 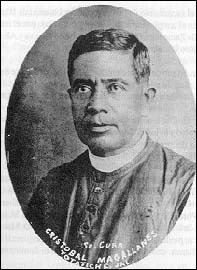 St. Christopher Magallanes, along with 21 other priests and three lay companions, were martyred between 1915 and 1937, by shooting or hanging, throughout eight Mexican states, for their membership in the Cristero movement. Magallanes erected a seminary in Totatiche and he and his companions secretly preached and ministered to the faithful. The last words heard spoken by Magallanes were from his cell, when he shouted, "I am innocent and I die innocent. I forgive with all my heart those responsible for my death, and I ask God that the shedding of my blood serve the peace of our divided Mexico". Pope John Paul II beatified the Cristero martyrs in 1992 and canonized them in 2000. He was ordained at the age of 30 at the Santa Teresa Temple in Guadalajara in 1899 and served as chaplain of the School of Arts and Works of the Holy Spirit in Guadalajara. He was then designated as the parish priest for his home town of Totatiche, where he helped found schools and carpentry shops and assisted in planning for hydrological works, including the dam of La Candelaria. He took special interest in the evangelization of the local indigenous Huichol people and was instrumental in the foundation of the mission in the indigenous town of Azqueltán. When government decrees closed the seminary in Guadalajara in 1914, Magallanes offered to open a seminary in his parish. In July 1915, he opened the Auxiliary Seminary of Totatiche, which achieved a student body of 17 students by the following year and was recognized by the Archbishop of Guadalajara, José Francisco Orozco y Jiménez, who appointed a precept and two professors to the seminary.